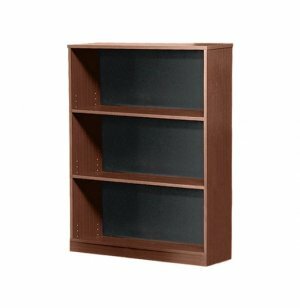 This 48-inch high bookcase is divided into three sections with two adjustable shelves. 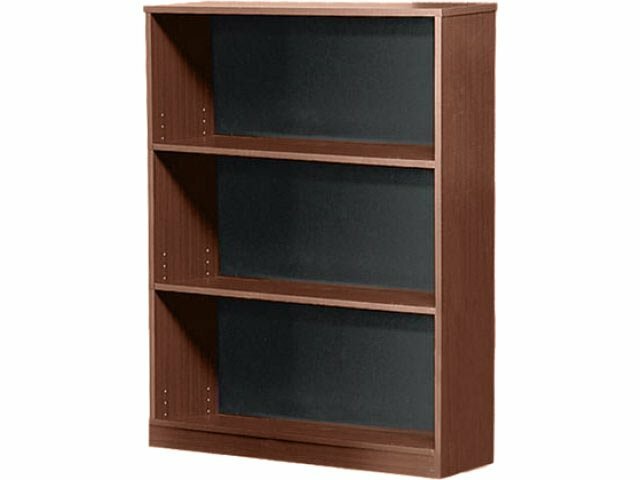 Affordable and durable, the bookcase works perfectly in office or classroom, or anywhere where you need a bookcase that can take heavy daily use. Made of a laminate with a durable solid-wood back, this short bookcase is the perfect size to hold a modest collection of books. Best of all, the price is exceptionally low for this type of product.